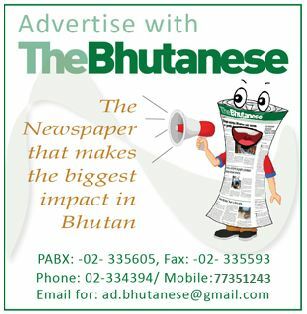 Despite some controversies and the occasional chest beating, elections in Bhutan are free and fair and very peaceful compared to the neighborhood. However, the issue is not so much with the process which is accredited and praised by international observers, but on the energies and forces that it unleashes among a peaceful and quite populace. While we have peaceful elections, we cannot afford the divisive aspects of elections in our neighborhood as they have the absorptive capacity for internal strife, given their bigger size. It will be the collective responsibility of political parties and voters to realize that no victory is worth the internal instability of the country. The 2018 elections should be a much more substantive election, not to say that the last two were not. The difference, this time around, is that two general elections later it would be a safe bet to say that both the voters and political parties are wiser and more matured. Therefore, the hope is that both the debates and conduct will be far more matured and realistic. The people have seen two different governments and they know how elected governments work as well as the difference between them. They could decide to give another chance to the two incumbent parties or alternatively try one or two of the two new parties. However, whatever magic rabbits are pulled out of the hats by the parties, the voters will make their choice on poll day. Here, credit must be given to an area where credit is rarely given- the average Bhutanese voter. In the 2008 elections going against all prediction it swept in the then underdog in the form of DPT to power with a brutal majority. Not happy with its performance, it swept out DPT in 2013 and gave PDP a landslide victory bringing to power the world’s smallest opposition party. This paper after the 2013 general elections pointed to this innate wisdom of the Bhutanese voter. It is time to see what the voters will decide this time around.